Here is some stump grinding information and some of the little known facts about stumps and tree stumps. Why shouldn't I remove stumps myself? When you hire professionals for tree removal, stump grinding may not be included in the package. 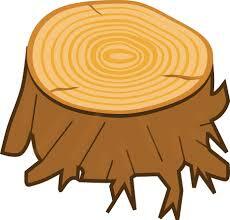 You will be left with a tree stump after the tree is removed. Some people attempt to remove the stump themselves… however, this could be very difficult and in fact dangerous if you damage a service such as natural gas or electricity hidden underground. Stumps are extremely tough to remove. With basic tools and methods you’ll find it’s extremely difficult. Professional machinery specifically designed for stump grinding is the best way to remove them. It is always best to hire the professional who has specialised training on how to use stump grinding equipment. Will the stump grow back? It’s unlikely that the stump will grow back after Tony has completed the stump grinding process. Occasionally we might need to chemically treat the area to prevent regrowth, but this is quite unusual. What happens to the tree’s roots? Our standard stump grinding gets rid of the stump itself, but there may still be roots just under the earth surface. If desired, we may be able to grind down some of the lateral roots as well. However this is not always a good idea as it causes more damage to the ground and site. It’s generally ok to leave the tree roots under the earth. Without the stump they will eventually rot and disappear. Either way, we are happy to discuss these issues with you once we assess your site. Here are our most commonly asked questions about tree stumps and stump grinding. And if you require stump grinding services don’t hesitate to get in touch with Tony .